Filofax Notebooks offer the simplicity of a notebook but with the flexibility for personalization. Featuring a soft touch leather look cover, twin wire spine, and secure elastic closure with piping detail. The unique and clever construction allows the premium ruled, plain and squared notepaper to be easily added, removed or repositioned. 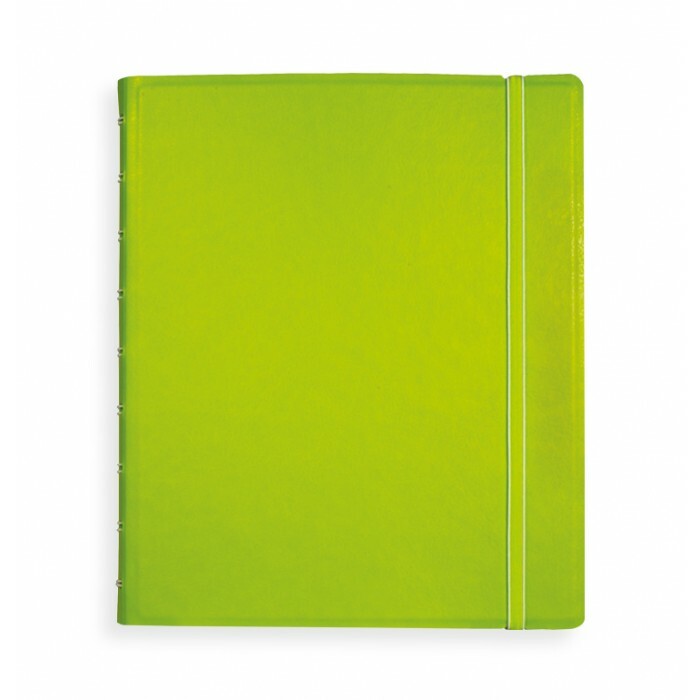 Unlike most other notebooks it folds back on itself and lies perfectly flat when open. Each notebook comes with moveable coloured index with pocket, page marker and free sample pack of refills.